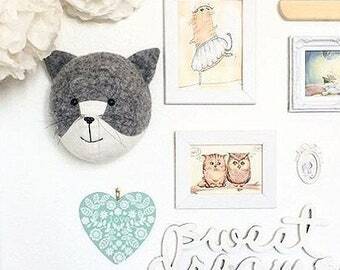 Announcement Welcome to the fabulous world of wall decor - Lavka'Ch animals for interior! 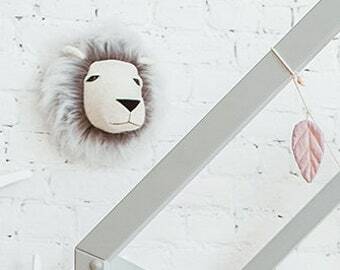 Faux animal heads is one of the most fashionable trends of modern interior. 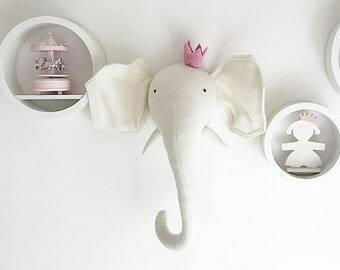 Soft animal heads will help you to create a special atmosphere and uniqueness of your nursery interior where your children will be falling asleep without adults buy giving decorative animals the status of a friend and defender. We create our works with exceptional passion and love. All our products are made entirely by hand in small consignments of high quality wool. The designer is Olya Chakhlova, the company founder. 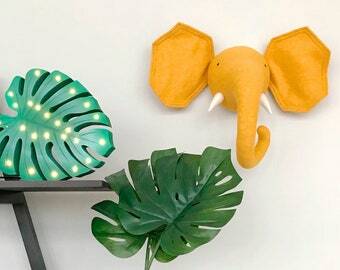 Ordering in our store you get a truly unique product that can make your home interior special and truly inspiring! In addition to existing product line we can offer to our customers individual color solutions to order. 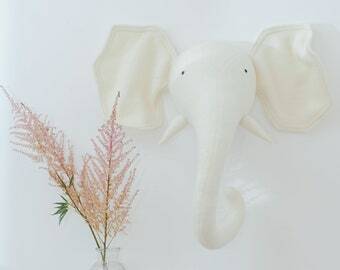 Welcome to the fabulous world of wall decor - Lavka'Ch animals for interior! 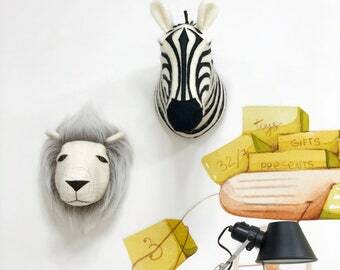 Faux animal heads is one of the most fashionable trends of modern interior. 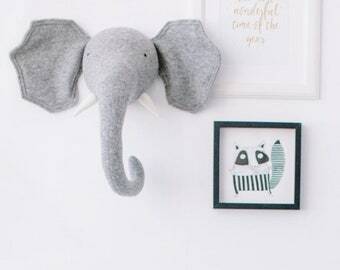 We love the elephant! Thank you. 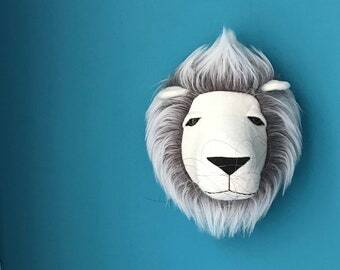 The history of my decorative animal’s world began in 2015 in Russia. The sources of my inspiration were my newborn son and inexhaustible love for the animal’s world! 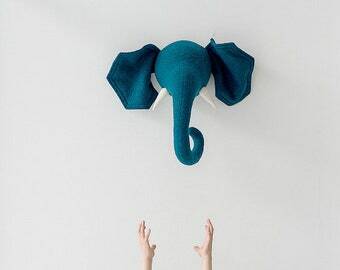 Today "Lavka'Ch Animals for interior" - a Russian brand of wall decor. Lions, bears, cats, deer, hippos, lions and other animals fly from my store to different cities and countries every day! And I am very pleased to be watching them traveling to amazing interiors where they will live. All products in my store are the result of my own ideas and design. 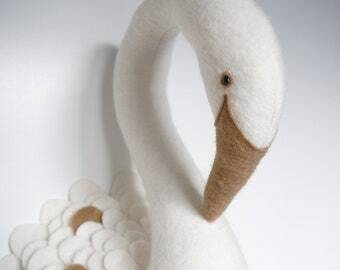 They are made of high quality wool exclusively by hand and in small consignments. 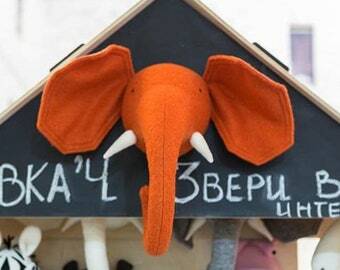 My passionate work on the "Lavka'ch Animals for interior" project makes my life much happier. Every working day opens up new horizons for me and brings many interesting acquaintances all around the world! To fulfil your order, you must provide me with certain information (which you authorised Etsy to provide to me), such as your name, email address, postal address, payment information, and the details of the product that you’re ordering. 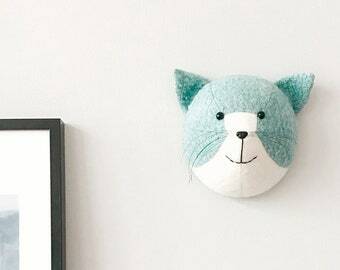 You may also choose to provide me with additional personal information (for a custom order of mobiles or toys, for example), if you contact me directly. I may store and process your information through third-party hosting services in the Russia and other jurisdictions. As a result, I may transfer your personal information to a jurisdiction with different data protection and government surveillance laws than your jurisdiction. If I am deemed to transfer information about you outside of the EU, I rely on Privacy Shield as the legal basis for the transfer, as Google Cloud is Privacy Shield certified. For purposes of EU data protection law, I, Olya Chakhlova, am the data controller of your personal information. If you have any questions or concerns, you may contact me at info@lavkach.com. Alternately, you may mail me at message to my shop Etsy - LavkaCh. In order for our products to serve a long time, they need to be properly cared for. To maintain appearance, it is sufficient to use a dry cleaning. (use a vacuum cleaner or a sticky tape roller to remove dust). Refund will not be possible for parcels with orders, which will be received back and marked as unclaimed. Buyers are responsible for any customs and import taxes and duties which may be payable on receipt. Please be aware of the laws, rules & regulations of your home country. Full refund will not be possible for parcels with orders, which will be received back and marked as unclaimed. I'm using registered airmail via the RussianPost, with Package Reference Number (track code) provided as a standard shipping. Shipment time is approximately 14-20 Business Days from date of shipping. It could be slightly longer depending on different destinations and estimates like bad weather, natural disasters, seasonal holidays, package being held up in customs, etc. We do not consider an item lost up to 8 weeks. Unfortunately sometimes international post tracking system works badly and it's update usually depends on the host country and their work.